Product Description: Water is a natural play element and playing with water helps to develop a child’s imagination and creativity. The sound, feel and motion of water appeals to children of all ages and abilities. 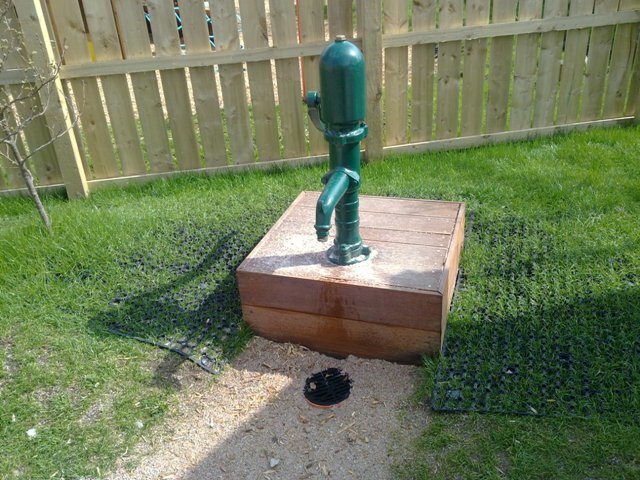 The water pump allows children to experience the labour required to pump water from a deep underground source. The slow release of water ensures that damage to the surrounding area is minimal and drainage always possible, ensuring a safe experience for all.